This exciting mermaid swim accessory set for girls inspires unforgettable moments underwater! 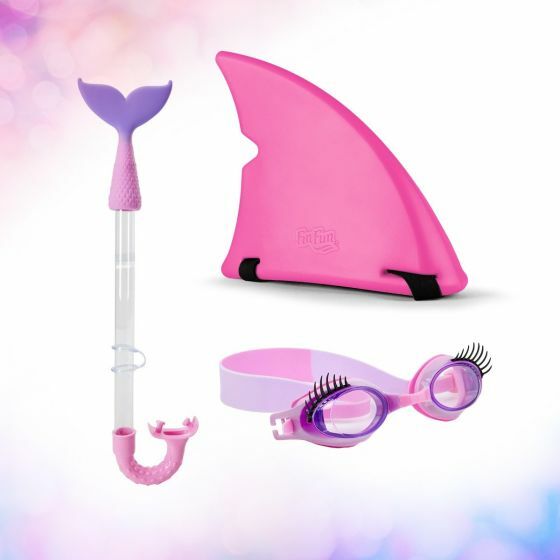 Gift set includes our stylish shark fin, plus fashionable lash goggles & mermaid tail snorkel by Bling2o. We’re pretty “shore” your child will dive right into the water the moment she discovers this exciting collection of swim accessories designed just for mermaid fashionistas! 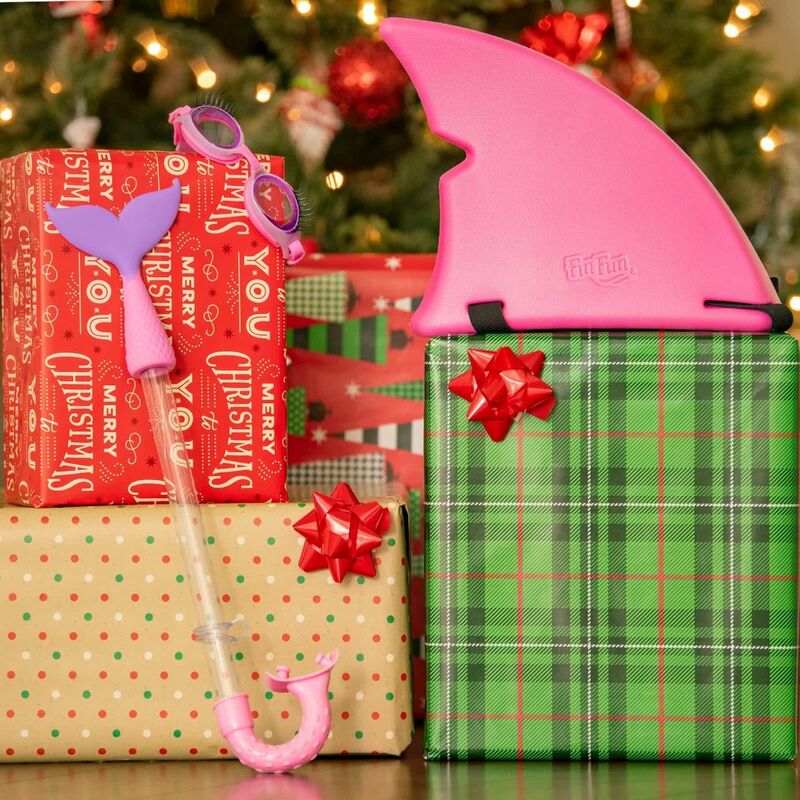 This snorkel gift set for girls includes all the things she’ll need to explore the world below to her heart’s content with our hot pink shark fin, plus Bling2o’s premium-quality Glam Lash goggles and Arietail Snorkel.